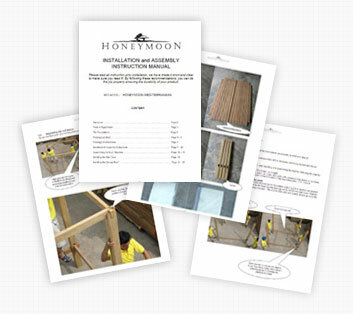 The structures Honeymoon are also delivered in kit "ready to ask." To do so, just follow the installation guide that includes not only the necessary information, but also good advices for ensuring the quality and sustainability of the structures. Basic knowledge on construction and wood, are obviously welcome. • specific tools, if necessary, and advices for the installation depending of the structures.